To demonstrate patriotism and love for the Motherland and the knowledge of its history is simple. Our product manufactured by our organization will help you. 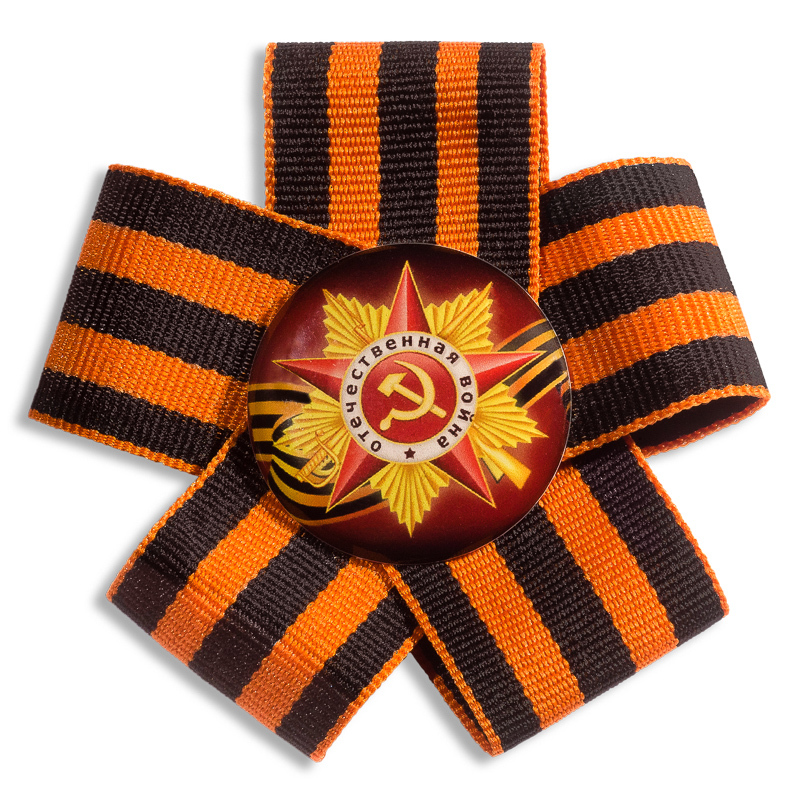 Buying a St. Georges ribbon with a badge, you get high quality and attractive price, which decreases in case of wholesale order. OOO “PTGO SEVER” keeps high quality for a long time, therefore the products are manufactured in full accordance with the current GOSTs, they are resistant to mechanical stress, UV rays and weather changes, without losing an attractive appearance. 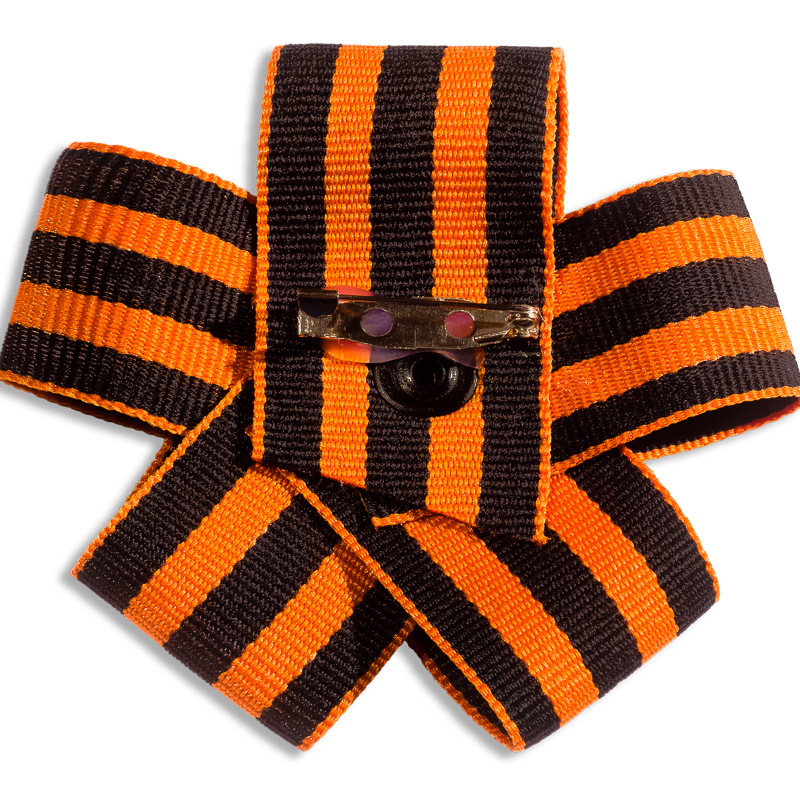 The St. George ribbon is made up of five identical loops, fastened with metal rivet and burr and a badge with text. George’s bow with badge is delivered in an individual package 8 cm * 12 cm. Fastening on clothes or a bag is carried out with a pin. The image on the badge is covered with a layer of transparent material that reliably protects it from scratches and erasure of paint. 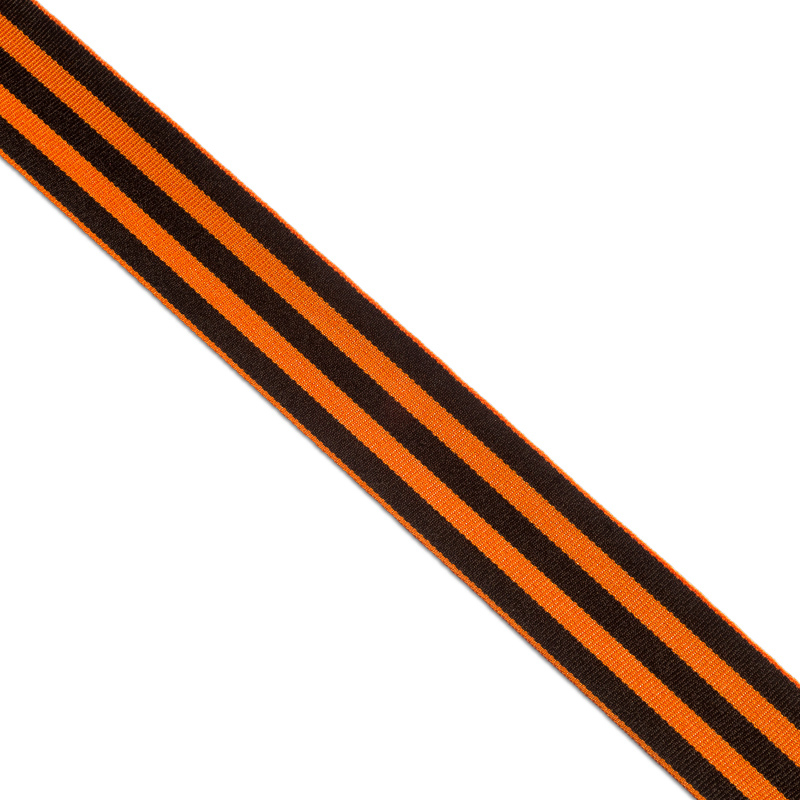 Our company offers to buy a St. George ribbon with a badge with delivery to any region of the country. A firmly fixed form of the product that does not change over time, the high quality of the polymer resin used to cover the badge and the colorful materials make our products the best on the market.